If you’re looking for a fresh fruity wine to go along with that warm apple pie you’re serving up for Christmas, than this is the perfect wine for you. 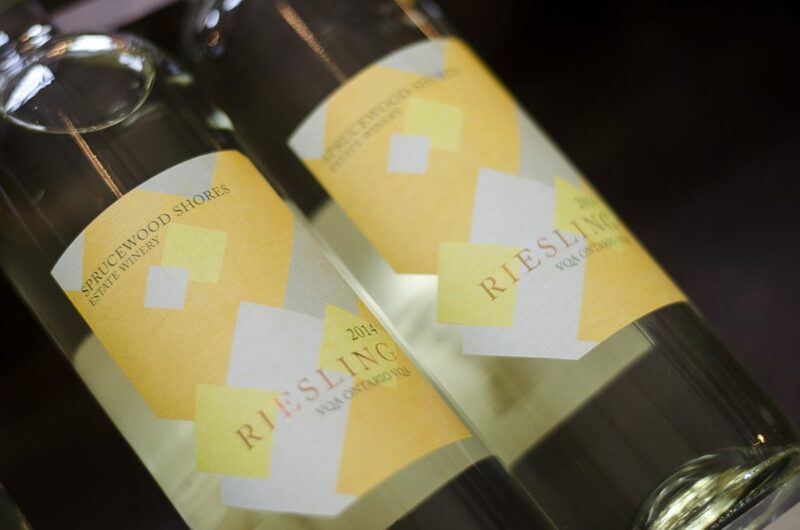 This medium-bodied Riesling from Sprucewood Shores Estate Winery is fruity with a crisp finish and has a fragrant fruit nose that will awaken your senses. The delicious bright green apple, peach and citrus flavours are balanced with finesse, and we’re not the only ones who think so. 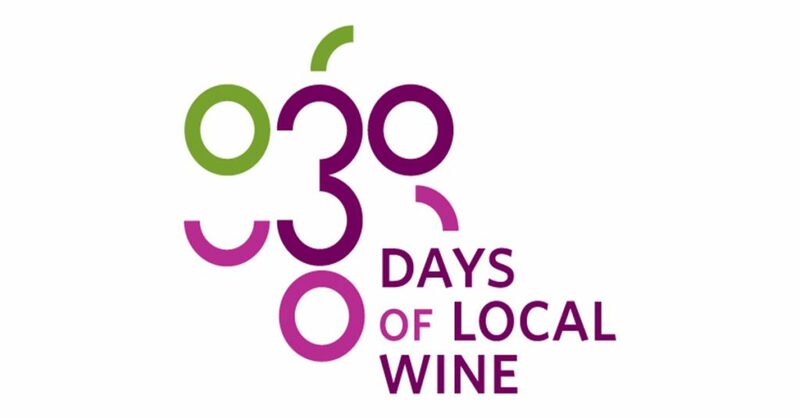 The Riesling is a true winner, having won a silver medal in the All Canadian Wine Championship. If you’re serving up pork, curried dishes or chicken, make sure to stock up on this award winner offered at the LCBO. We took pairing this wine into our own hands and thought it’d be perfect to have with a special turkey dinner, or more specifically, the stuffing that comes with the turkey. When my mom makes stuffing at Thanksgiving, it’s the first thing we dive into. She makes an abnormal large amount of it. Some of which she stuffs into the bird and the rest she keeps aside for leftovers the next day. While the leftover stuffing is good, it’s that twice baked stuff that has us drooling. This is pretty much half a serving for Adriano. He loves stuffing….a lot. Our family eats turkey only once a year, so I had to come up with a version of stuffing to have any time we had a craving. Since the flavours and juices of a roasting turkey aren’t being infused into the stuffing, I added in Robbie’s Gourmet Sausage Co.’s Apple Butter and Sage Sausage. I had stopped by his shop in Old Walkerville last week and he mentioned he was trying to get customers to think “outside the casing”. Well, I certainly have no problems doing that. Baked pasta at our house has become a staple and I always throw in ground Italian sausage to take that dish up a notch. 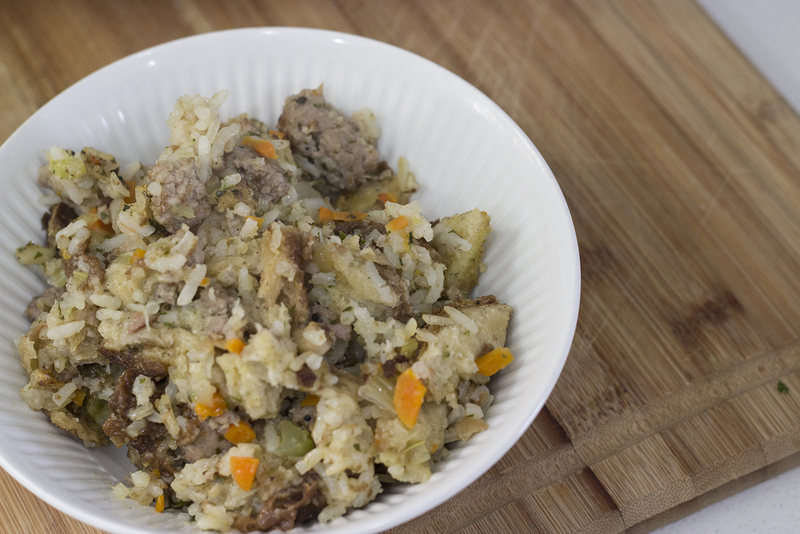 The apple and sage add quite a bit of flavour to this stuffing. Making your own breadcrumbs helps too. I picked up white bread and a marble rye from Blak’s Bakery and added garlic olive oil from Dressed by an Olive (which really should be added to everything). Seriously, how can you resist stuffing? 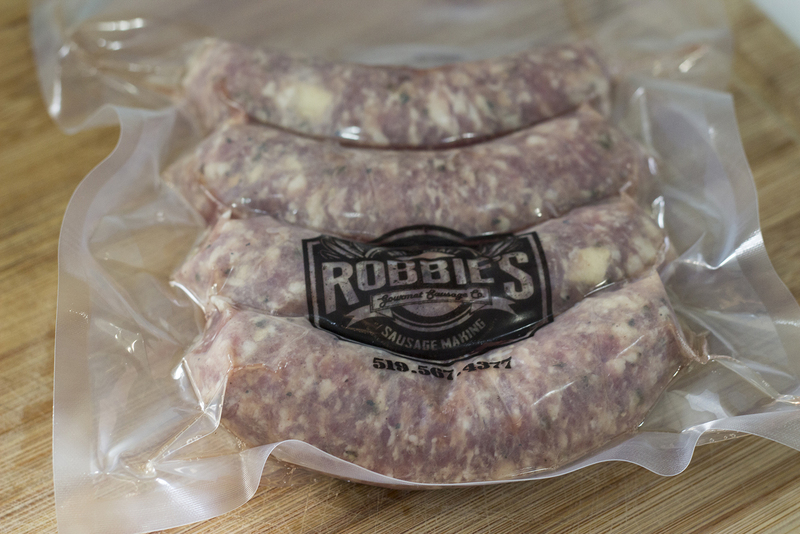 If you don’t have the opportunity to visit Robbie’s Gourmet Sausage, try experimenting with your favourite links. Remove the sausage links from the casing. In a pan, over medium to low heat, add 2 tablespoons of garlic olive oil. Sauté the sausage in the pan, breaking it up as it cooks. 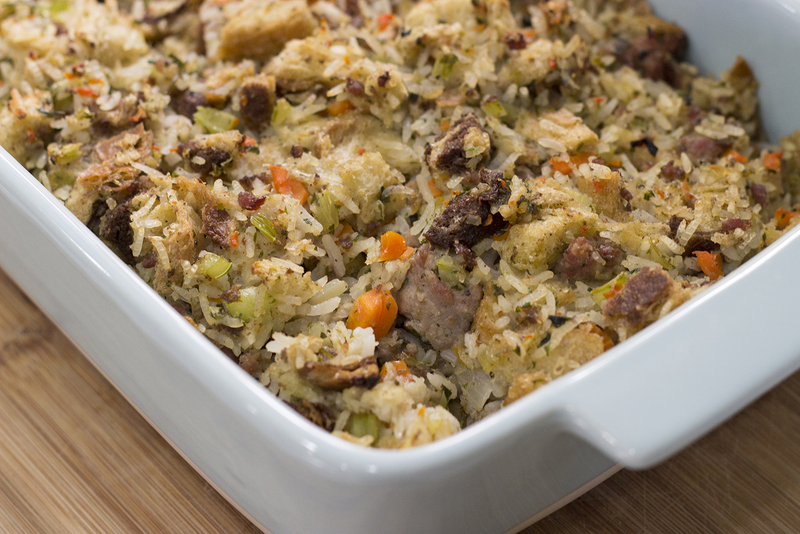 I like big chunks of sausage in my stuffing but it’s entirely up to you as to how ground up you like it. You do not want to overcook the sausage as you’ll be cooking it further in the oven a little later on. Place into a large pot and set aside. In the same pan you’ve cooked the sausage, add 1 tablespoon of butter and add the carrots, onions and celery. Again, you do not want to overcook the vegetables. I take it off the stovetop when the onions have become a bit transluscent but the celery still has a bit of a crunch to it. When cooked add to the pot with the sausage, along with the cooked rice and cubed bread. Add chicken broth. Thoroughly mix everything together and cook over low heat until the chicken broth has been absorbed, about 5 minutes. Add salt and pepper to taste.